Are you blindly using images you find through Google? Think about copyright law and needing permission to legally use images when you find the “perfect” photo through a Google search or elsewhere online. Scroll below to download our tip sheet 6 Copyright Tips for Legally Using Google Images. Also look at our online copyright program that includes an entire course on legally using images! Have You Found the Perfect Image on Google? How many times have you used Google or another search engine and found the perfect image, illustration or photograph? Or perhaps a map, table or infographic? 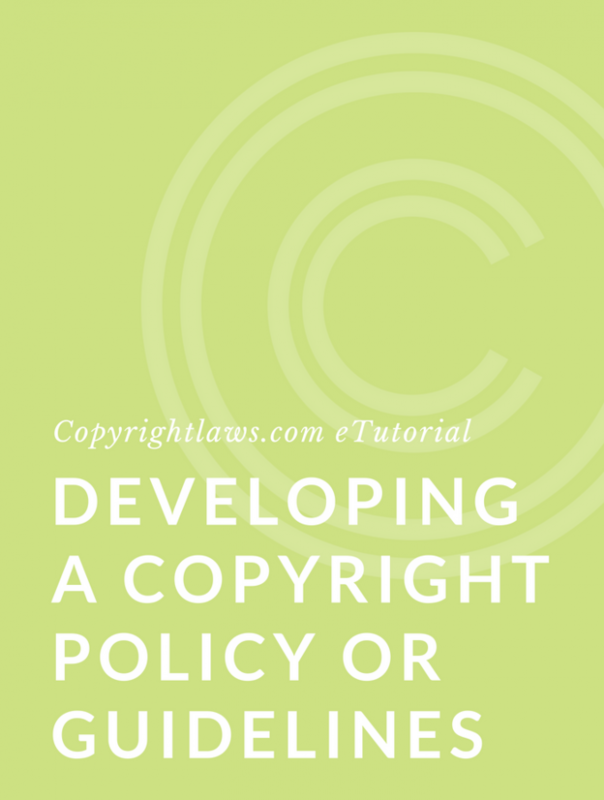 As tempting as it is to copy and paste that image or photograph on your website, in your electronic book or elsewhere, and perhaps even manipulate it for your purposes, you need to first consider copyright law. Once you find that perfect image or photo, you must treat it like any other content you find online. In September 2018, Google announced initiatives that make it easier for you to find creator and copyright information. They now provide links to image creator, credit and copyright notice metadata, whenever available for images on Google Images. For more information, see their blog post Image Rights Metadata in Google Images. To start your research on legally using Google images, you should assume that all online images are protected by copyright. Then do your research. 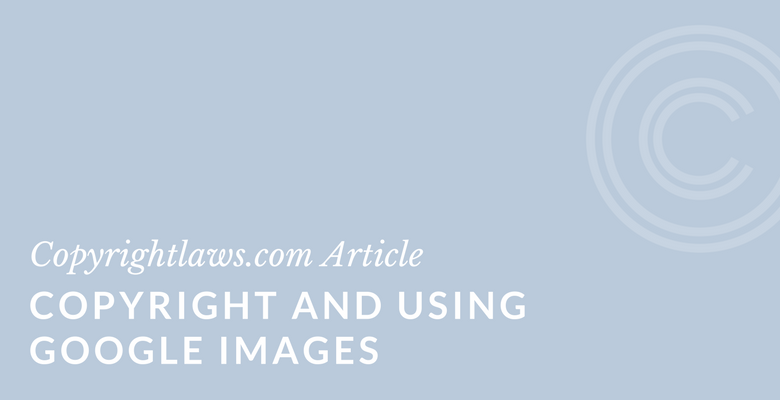 Take the necessary effort and steps to determine if the image is under copyright protection. If it’s protected by copyright and there’s no license is attached to it, you need to get permission before you use it. If you’re fortunate, the copyright owner’s name will be on the image with a link to click to contact the copyright owner and ask for permission. And hopefully the copyright owner will promptly reply. But this best case scenario won’t always be your scenario. It may take time, effort and creativity in your research to determine the name of the copyright owner. Then you need to investigate whether they’re still alive or not. Since copyright duration in the U.S. is the life of the author plus 70 years, you need to determine when the duration of copyright will expire or if it has expired already. In some circumstances, your research will reveal that your use of the image doesn’t require permission. For example, images and photographs in the public domain do not require permission. Is there a Creative Commons (CC) license attached to the image or photograph you want to use? There are various CC licenses that allow you to use an image or photograph (or other online content) without first obtaining permission. But you’ll need to read that license and see what it permits. You may be able to only use the image as-is or perhaps you can modify it. Or, you may be able to use it for noncommercial purposes only and you may need to acknowledge the owner of the image. Determining whether an image, photograph or other content is protected by copyright or not may take time. Begin your research as early as possible — as soon as you decide you want to use a certain image or photograph. Act on facts. Don’t just think an “old” photo is free for the taking or an image without a copyright symbol or notice is always free to use. See other copyright myths. If you don’t see permission clearly indicated on an image or photograph, then you need to investigate its copyright status. Always determine whether you need to obtain permission prior to using an image or photo. Never use an image, illustration or photograph without first doing research to determine its copyright status. Copyright-wise, it’s always less risky to link to a photo or other image than it is to copy and paste it onto your website or social media platform. And, it’s best not to embed that link but rather to set out a URL. A February 2018 U.S. court case raised the risk of embedding images. You can read more about this case here. When possible, use photos and other images that you’ve taken yourself. Unless you’re employed and took the photos as part of your job, you own the copyright in your own photos. (Don’t forget to obtain a model release from any persons in your photographs. This isn’t a copyright issue, but a privacy/publicity issue.) Also keep in mind that if you’ve licensed your images to someone else, you may have limited your own use of those images. Use images that have a Creative Commons (CC) license. However, be aware that a CC license is just that: a license. You need to read its terms and conditions and see what it allows or not. Not all CC licenses allow the same uses. A CC license may allow use as-is, in a remix, or as part of a new work. 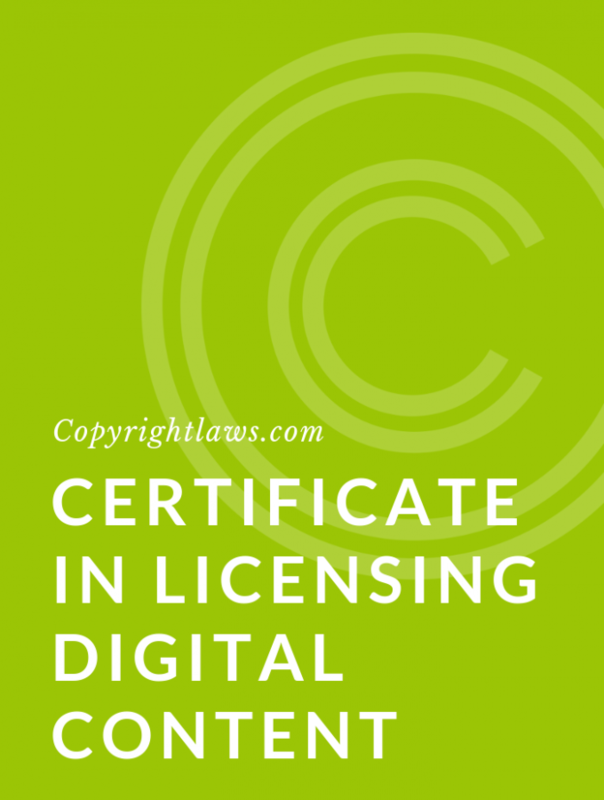 In most cases a CC license requires attribution of the copyright owner. Purchase images from stock photo agencies and follow the license terms. Remember, you’re not outright buying an image from a stock agency, but are paying for certain uses of it. Read the specific terms and conditions (to which you have agreed). For example, you may be able to post the image on your blog but require additional permission to use it on the cover of your e-book. Always verify that the image’s creator has the rights to permit you to use it. They may have assigned their rights to someone else and no longer own copyright in the image. Or, they may have created the photograph or other image at work as part of their employment duties, and copyright belongs to the employer. Ask the image’s creator to provide you with a warranty or guarantee that they are the image creator, still own the rights in the image and have the right to provide you with permission to use it. for copyright education built for you! Want more copyright tips for using online images? Sign up and we'll send you our copyright tip sheet for using Google images.